Hollywood, Florida began in 1920. Key players we are following are the city’s founder, Joseph W. Young, Jr., and my father A. C. Tony Mickelson, who joined Young’s company in 1920. This next section of the Prologue covers 1917 to 1919. As a reminder, note that the U.S. entered World War One in 1917, and the war ended on November 11, 1918. Why did Young choose this town on an Arizona mountain top? To reach Globe today requires driving up a steep winding road, but when Young went there trains ran through and on to southern California. According to Bill Haak, Director of the Gila County Historical Society in Arizona, the railroad arrived in Globe in 1898, creating a building boom in the area in the first two decades of the 20th century. So, as in Long Beach, growth in Globe was spurred on at the turn of the 20th century by the arrival of convenient transportation to larger cities, and Young saw opportunity there. Given that he was living in a hotel, it seems likely that his wife Jessie and the three small boys remained in Long Beach with her mother and other family while Joe could commute, at least occasionally. Unlike Long Beach, Globe was not a resort. The attraction there was copper mining. By 1915 with World War One raging in Europe, Globe was the biggest copper producer in Arizona, turning out nearly 20,000,000 pounds a month at that time. The mines needed workers and workers needed housing. Thanks to the research of Claudina Lopez, also a Hollywood, Florida native, we know that Young was cashing in on this boom. Records in the Globe court house indicate that he purchased land, generally for $10 a parcel, subdivided it, and sold it, all in the Globe/Midland area. But once again, calamity! Outside forces he could not control worked against Young. In this case it was a miners’ strike, in 1917, at the Old Dominion Mine, one of the world’s richest copper mines from 1882 to 1931. The IWW wanted to organize the Globe miners, but they chose a most unpropitious day to call a strike–July 4th, 1917. A strike on the nation’s holiday during this time of patriotic war effort rubbed the rest of the population the wrong way. Confrontation between the many sheriff’s deputies and the strikers escalated until word reached President Woodrow Wilson and the Arizona governor, who called for federal troops. On July 5th four cavalry troops and one machine-gun company arrived by train, cheered by the locals. (Information from an article by Daphne Overstreet, “On Strike! The 1917 Walkout at Globe, Arizona,” in The Journal of Arizona History.) The army remained for nearly a year, camping on the Old Dominion slag heap. Miners who took part in the strike were let go, and left town, and the boom in Globe gradually subsided. For Young, Globe had lost its appeal. He moved down to Phoenix for a short time, buying and selling more land before heading farther east. The Young family papers have been lost or mislaid, but we can decipher his actions in 1917-18 thanks to a then-new government activity, the passage of the Selective Service Act on May 18, 1917. Although Young was then 36 years old, married with three small children, he was required to register. 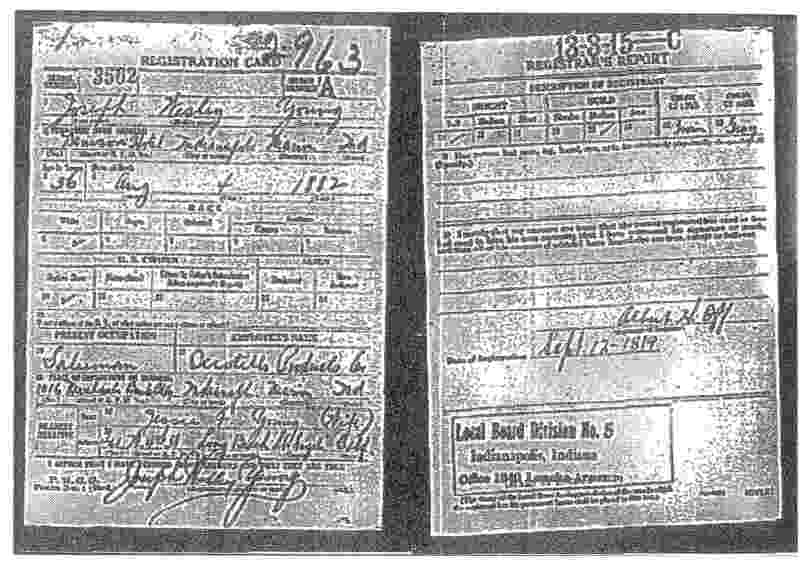 A copy of his draft registration form seen here is a mine of information. On September 12, 1918, Joseph Wesley Young is living in the Denison Hotel in Indianapolis, Indiana. His birth date is August 4, 1882. He is tall, with a medium build, brown eyes and gray hair. Interestingly, his wife Jessie’s residence is still in Long Beach. Young’s occupation is “Salesman,” and his employer is “Occotello Products Co.” This may be a misspelling of the desert plant ocotillo, but whatever the company sold, J. W. Young did not stay with it. Shortly after arriving in Indianapolis he returned to his first love, land development, and by 1920 had met Carl Fisher and hired Tony Mickelson. 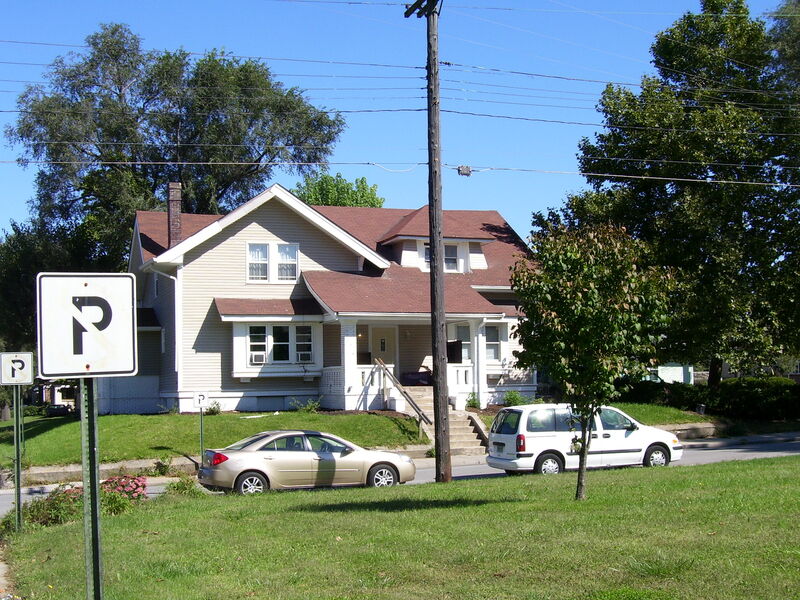 Young’s family soon joined him, and in Polk’s Indianapolis city directory for 1919 their home is listed at 676 East Fall Creek Boulevard. His occupation is “Manager, Inland Securities.” More about Young in Indianapolis will follow. [once again, in order to keep text with the right photo I have to type some filler until I get past the photo so I can move on…ignore this in brackets. I’m trying to get to a blank line. Maybe I’ll figure this out eventually. Millionaire Carl Fisher made headlines in the two cities where he had homes, Miami and Indianapolis. 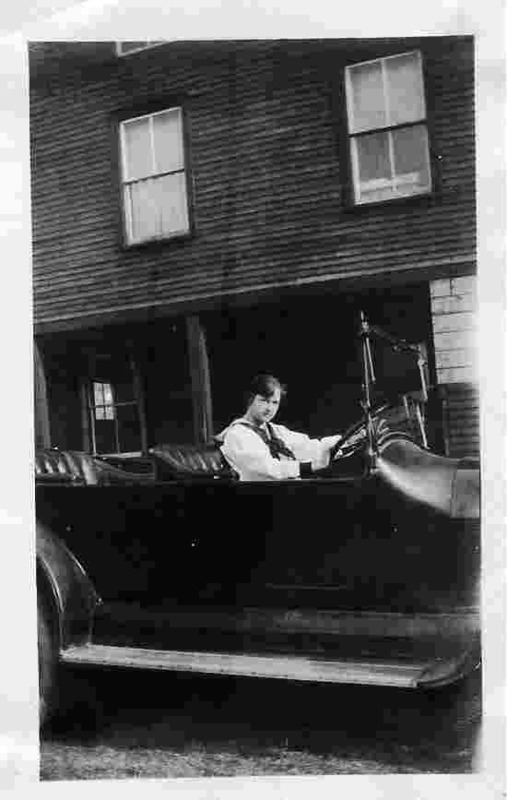 Young would meet him in the latter city, and in 1919 took the train down to Miami to see what Fisher was up to there. Fisher was cracking along with his development of Miami Beach, much of it in today’s South Beach, and on the bay side. 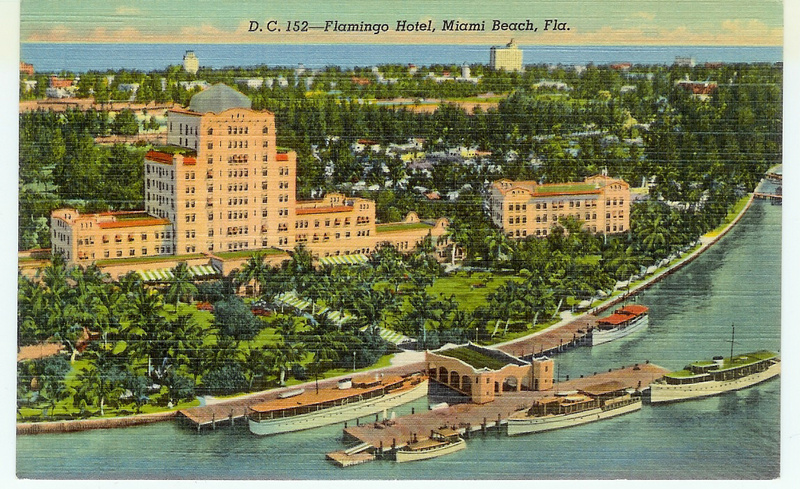 At the end of 1919 to much publicity Fisher opened the Flamingo Hotel, designed by the Indianapolis architectural firm of Rubush & Hunter, on “Alton Beach,” so named by Fisher. Associated with Fisher was FRANK DICKEY, a university-trained engineer, who would be hired away by Young in a few years. In 1918 Dickey was in charge of work on the Miami harbor. He would apply this skill in harbor development to create North and South Lakes in Hollywood, and also Port Everglades. Dickey deserves much greater recognition for his engineering skills which made reality of the dreams of J. W. Young. Tony Mickelson remained in the U.S. Navy throughout World War One, serving on the battleship Wyoming which was part of the fleet stationed in the North Sea. Together with the British navy they effectively blocked the German ships from leaving port. Mickelson’s navy service has nothing to do with the development of Hollywood, Florida. However, he retained albums of historic photos mostly taken from his ship which will surely intrigue people interested in World War One. These will be posted in the next installment. 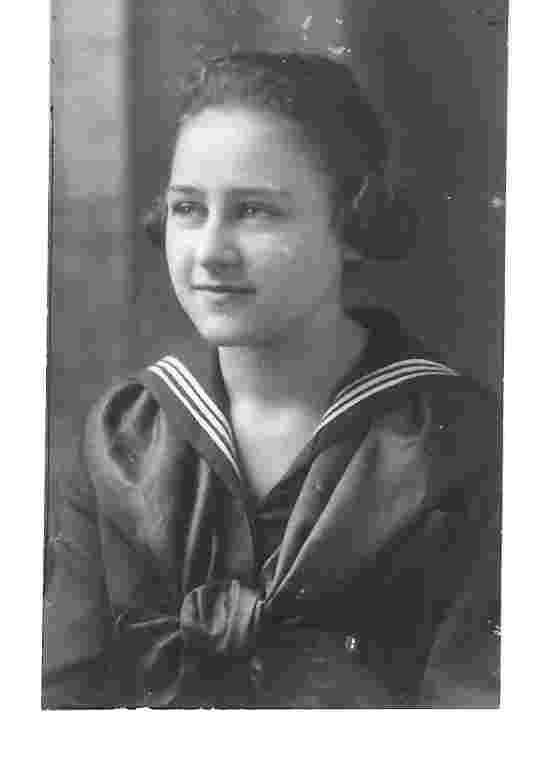 During World War One Lamora Gleason was still a school girl. It’s amusing to see her wearing a sailor’s blouse and tie, then the fashion for girls, when her future husband wore similar outfits as a bona fide sailor! As she later made a career in secondary education, her own education is of interest. She and her brother first attended an elementary school in Bennington, VT run by a single teacher. Her parents, who could afford it, wanted more for her so she was sent as a boarder to a convent school over the state line in New York, run by French-speaking nuns of the Sacred Heart order, which she greatly enjoyed. As a result she was fluent in French, which she would teach all her students (and daughter) in later years. Lamora learned to drive at 12. This is probably a friend's auto, although her father owned several. For high school Lamora attended an unusual Vermont institution, a public boarding school. 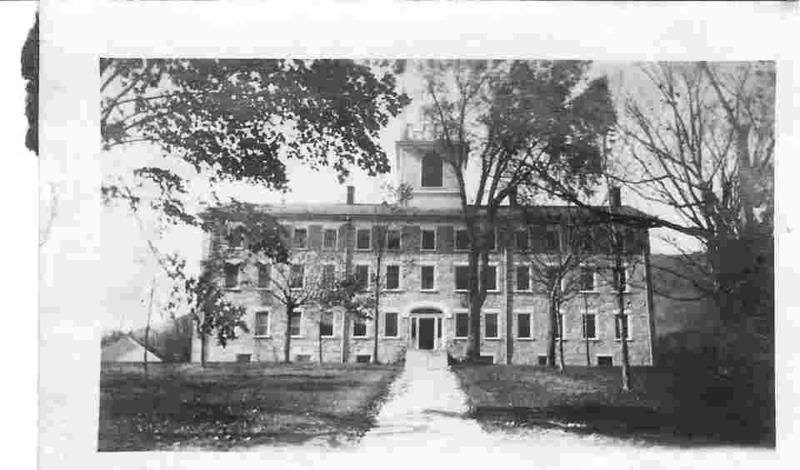 Vermont had such a small population that many towns could not support high schools, so public boarding schools were created in the 19th century for students from a group of surrounding towns. Lamora, from Bennington, went as a boarder to co-educational Burr and Burton Academy in Manchester, at the foot of Mount Equinox (which still operates). I believe it was then called Burr and Burton Seminary. Still wearing her hair long and in “cootie garages” she was a popular student, and played on the school’s trophy-winning girls basketball team. Burr and Burton girls basketball team and coach, Lamora probably center left. About 1917. From Lamora Gleason's album. 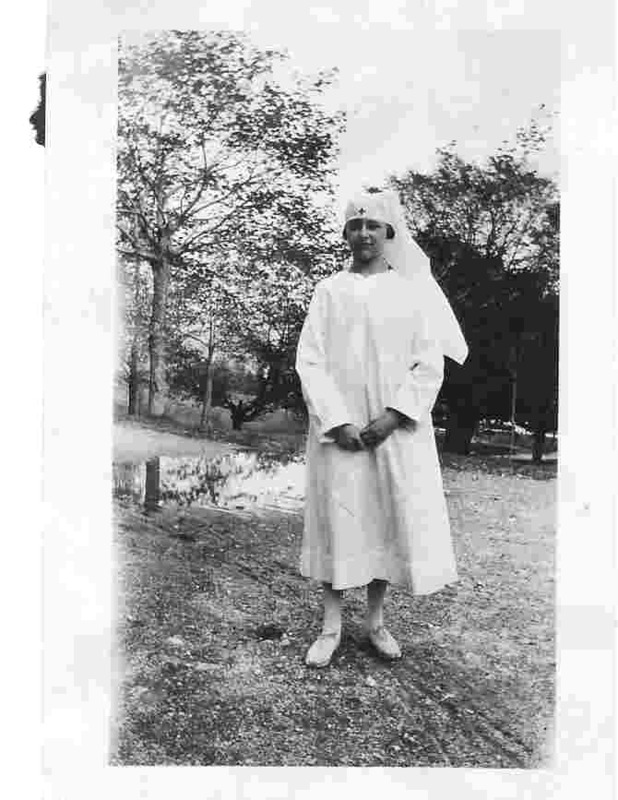 Lamora Gleason as a Red Cross volunteer in World War One, 1918. From Lamora Gleason's album. Photo at left is from Lamora’s album. This building still exists. It seems to be solid granite. Now, about the basketball team, there were six on a team. Lamora, all five foot three of her, played guard. Coach is in the center. The girls are wearing Bloomers. 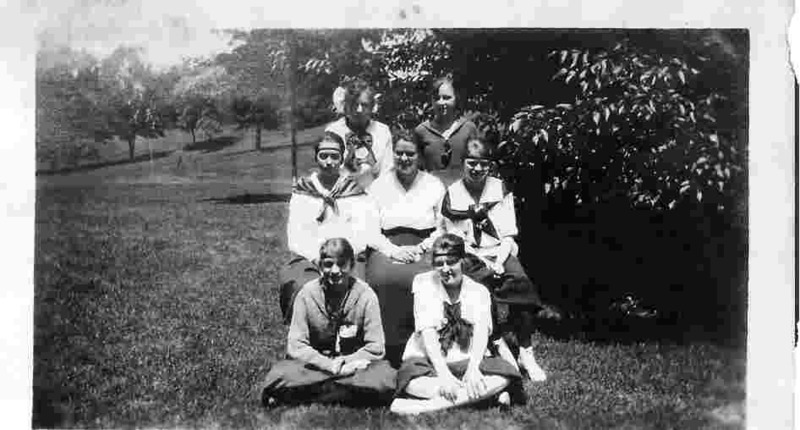 Apparently many American girls volunteered with the Red Cross during the “Great War.” Lamora did not leave a record of what she did. She never mentioned working in a hospital, and was too young to have been sent abroad. This photo particularly interests me because decades later I would write about a young German woman, Hilla Rebay, who was also a Red Cross volunteer in 1917-18, in Germany. 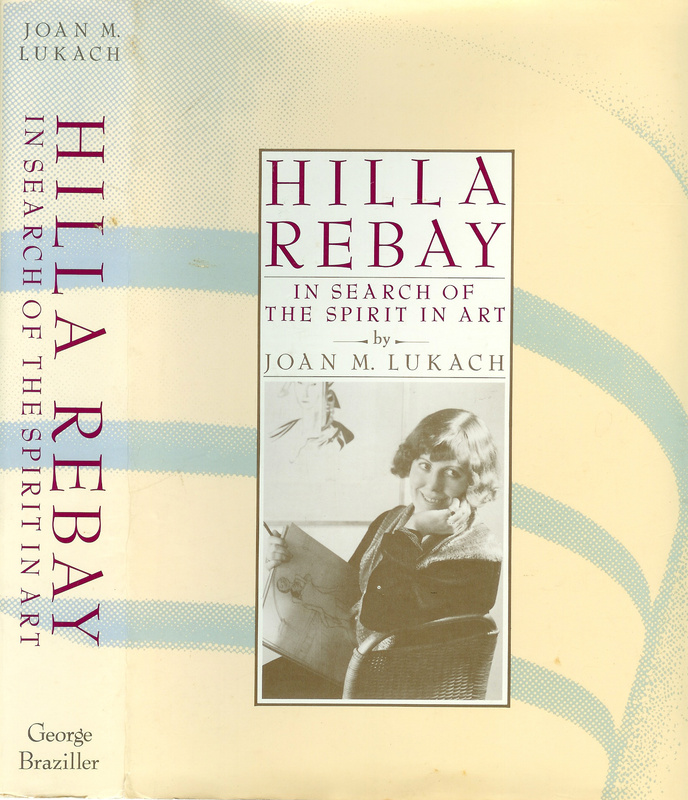 My book, shown here, Hilla Rebay, was written under my name of Joan M. Lukach.